You never are ready for it. 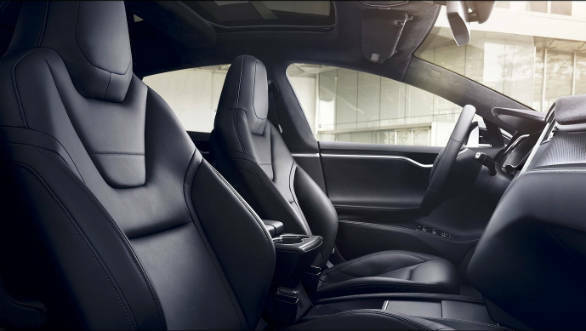 When you floor the gas pedal on the Tesla Model S P100D, it floors you back. Into your seat. Hard. There is no sound to let you know how hard you're accelerating and the feeling is scary. It makes you giggle. Like when the girl crossing the road nearly gets hit by an SUV and reacts with a giggle. That giggle. But Sasha was not giggling. She was a bit concerned. Because I had floored the gas pedal without warning on a Montreal side street. "I will let you know when it's safe to do that." I nodded. "If you do things like that, I'm sorry to say, I'll have to ask you to step out of the vehicle." 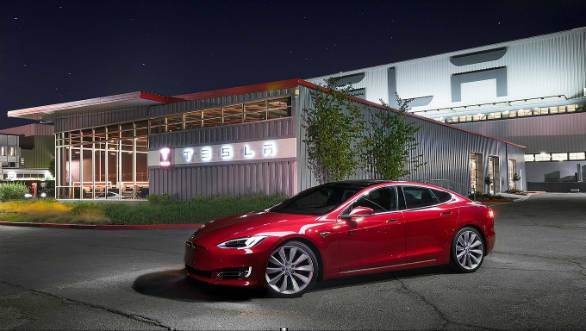 I suppose the big, huge smile she said that with suggests that I was not the first person to try and find the first place to floor the Tesla Model S.
But why would you do it any different? 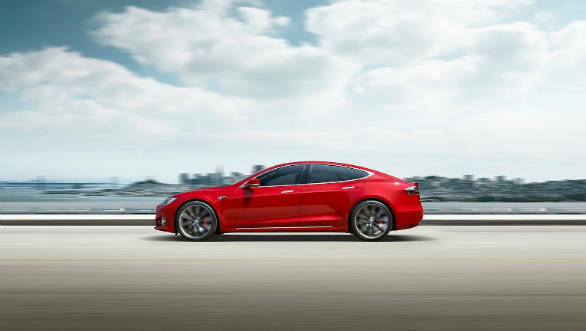 The Model S' claim to fame is its acceleration and silent ferocity. It accelerates from 0 to 100kmph in 2.5 seconds and has a range of 500km too! I drove the Model X yesterday but the traffic prevented me from really flooring the gas pedal. Today was that that day though. About a kilometre later, Sasha asked me to slow to a stop at the stop sign and wait for traffic ahead to move on. She helpfully put her hand out to let traffic behind - two cars - know that we were going to take a moment longer than expected. And she said, "Whenever you're ready!" The force of the acceleration is epic. The car leaps ahead silently but the speed arrives very, very rapidly indeed. You're pressed hard into the seat - the Bugatti Veyron I drove years ago leaps into my mind for reference. Except that its silent. In the two seconds I had the throttle - no, energy pedal - buried in the firewall, I couldn't focus on the speedo or the meters - it's that kind of quick. After that, the drive was, as you can imagine, normal. 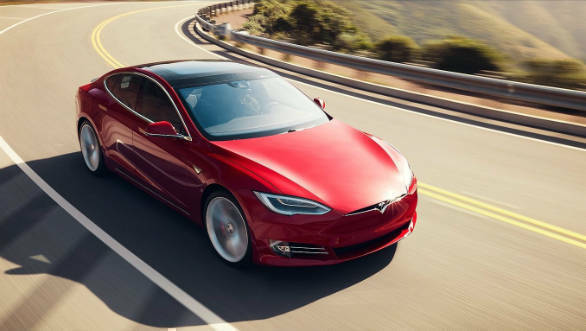 The Tesla Model S is silent and easy to drive. Ride quality is considerably better than the Model X thanks to more normal wheels and a different tune for the air suspension. I'd gotten used to the braking feel when you lift off the throttle and I was able to drive our route without really having to use the brake to slow for anything. What I did miss was the vastly more airy feel of the Model X that its "helicopter windscreen" (Sasha's term for it) gives it. 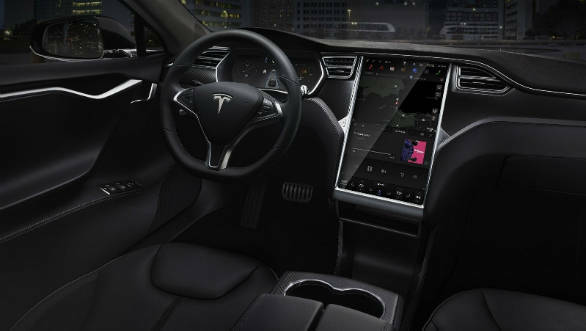 But without getting into the safety aspects, the autonomous driving discussion or the price and availability issues - all of which I am sure you will read about here and there - the Tesla Model S is spectacular. Not in shape, but in feel. The silent ferocity, the utterly normal-feeling cabin apart from the giant screen... it's a real glimpse of a real future car, today. It's a pity India doesn't officially have the Teslas on sale already. Musk Musk, even.